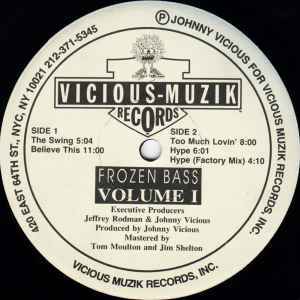 Phonographic Copyright (p) – Vicious Muzik Records Inc.
℗ Johnny Vicious for Vicious Muzik Records, Inc.
'believe this' uses the same vocal as the Fierce Ruling Diva's "you gotta believe (the atomic slide) " from 1992. As far as I know THAT is the original. Many people know that to be a rave anthem as well. "Believe This" contains samples of Todd Terry's "Warlock" (1988) and of course the infamous samples of "Bob James - Take Me to the Mardi Gras" (1975). Uuuuuh...Smylz has a strong point..."Believe This" is not just the best track on this LP, it's one of the greatest Rave Anthems ever created. If you heard it (at a rave) while in the middle of 3000 people, bouncing up and down...then, well, you know. "Believe This" is the track to buy this record for. Through out the song it gradually slows down into a "Peter Piper" hip-hop beat and then speeds back up to the original catchy techno-house beat.